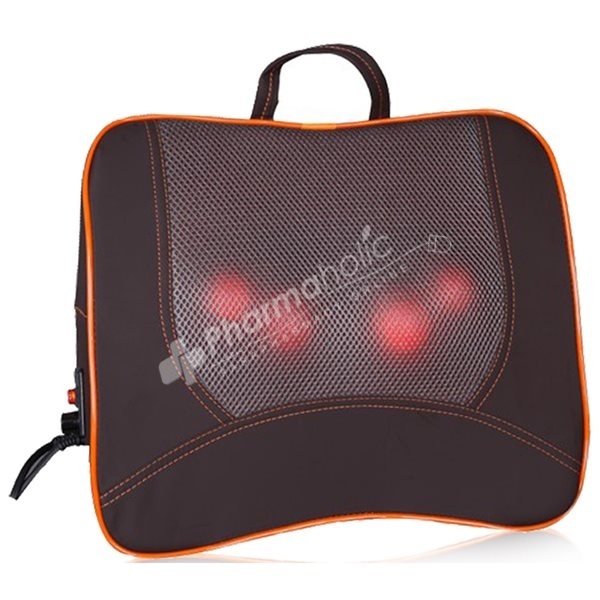 Back massage cushion LY-726 high, thin and light design, with straps used for automobile, machine 2 acupuncture, infrared light, which helps to relax, effective back pain treatment. This massage cushion helps the body to relax completely, reduce stress, support the treatment of all vascular diseases and restore muscle. Suitable for older people, office workers, housewives, students, pupils, ...... ..
Red heat, using a single control switch. Operats by adaptor which is DC 12V 4A.